Torres Vedras, ​​November 22 – In recent years, all over the world, many voices have started to rise to say loud and clear that enough is enough. Violence against women and girls is unbearable! Thanks to such movements as #OrangeTheWorld, #MeToo, #TimesUp, #NiUnaMenos, #NotOneMore, #BalanceTonPorc and many others. We now know that we are all concerned with this violence but also that we all have a role to play in bringing it to an end. Violence against women and girls takes various forms around the world. At least 200 million women and girls alive today have undergone female genital mutilation. 650 million women were married before their 18th birthday. Half of the women murdered around the world were killed by a relative or partner. And 71% of all trafficking victims are women and girls, and 3 out of 4 are trafficked for sexual exploitation! 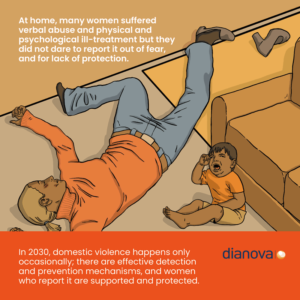 As of November 25, International Day for the Elimination of Violence against Women, Dianova will launch a campaign to raise public awareness of this violence to bring it to an end in the near future. The campaign will be active during for 16 days of activism, until December 10 (International Human Rights Day). A series of articles, testimonials and downloadable documents of interest will be disseminated. Dianova’s campaign aims to contribute to the achievement of Goal 5 of the 2030 Agenda for Sustainable Development. I.e. 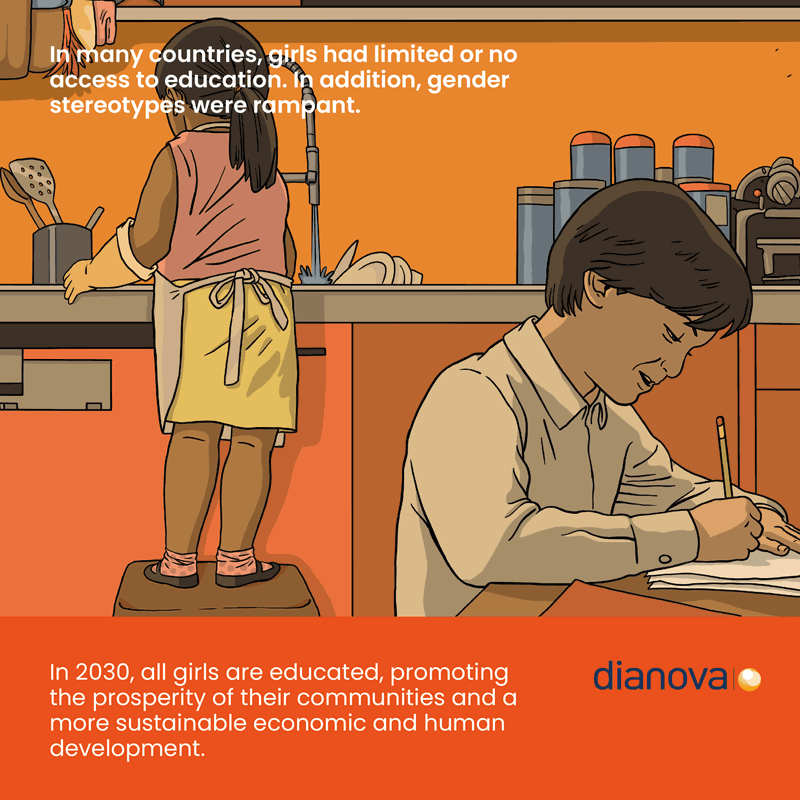 a world “in which all women and girls enjoy full gender equality and all legal, social, and economic barriers for their empowerment have been removed.” Dianova’s campaign is thus dedicated to denouncing the many forms of violence suffered by women in our societies. The “UNiTE to End Violence against Women” campaign invites the general public to become more of aware of this reality through six drawings representing as many situations of violence. These pictures invite to a reflection by proposing to look at the present of 2018 from the viewpoint of the future in the year 2030. 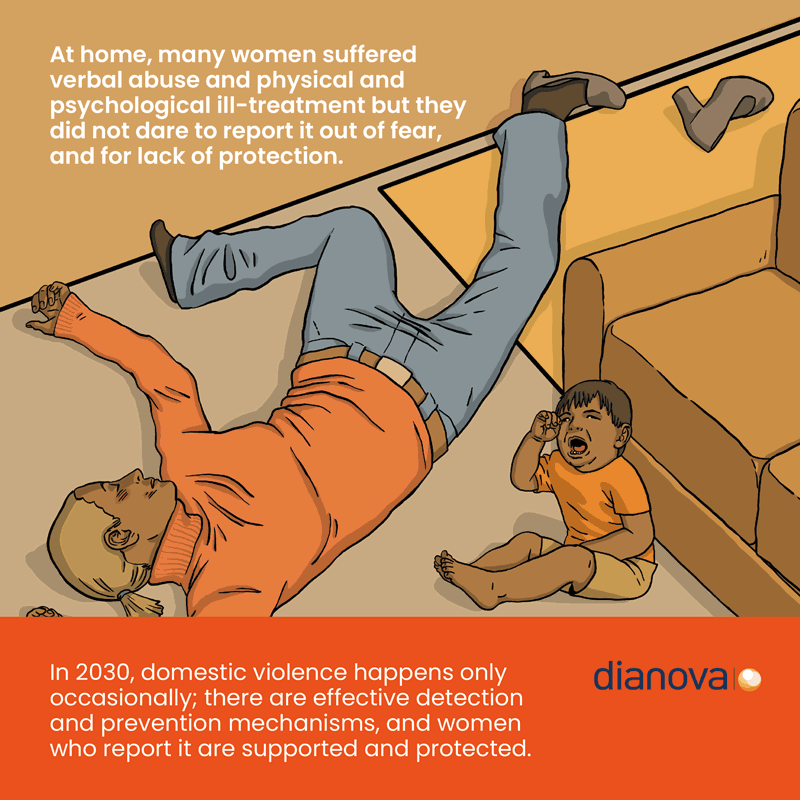 In 2030, our society has become more just and there is zero tolerance to violence against women. But how was it back then?